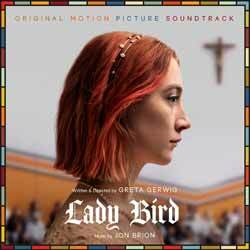 The score for Lady Bird is a short but sweet affair (23 tracks - 27 min, 14 sec). It's an upbeat, quirky collection of themes that will have you grinning from ear to ear by its conclusion. It's a simple. and fun album which sees composer Jon Brion really creating another character for the film. In fact, of late, I think this is the most character driven soundtrack I've heard in a long while. I really did enjoy this fun, quirky score - and while it might not be everyone's cup of tea, those that get what Brion was trying to achieve will draw a lot of pleasure from this sweet score.